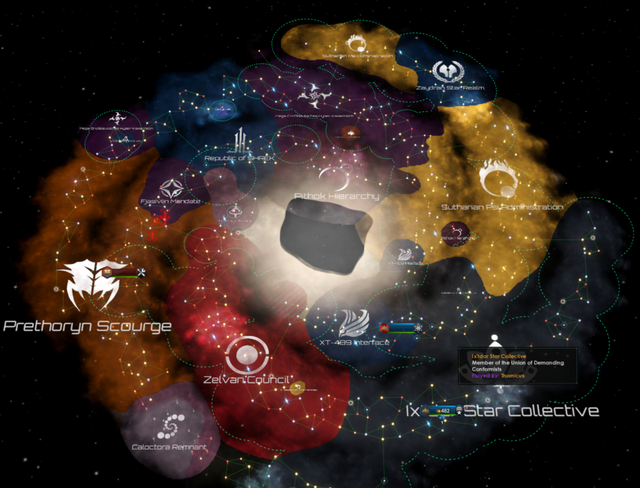 Our group played an RTS Raid for 18 hours - Did Stellaris unknowingly create a new genre?steemCreated with Sketch. The concept of raiding in gaming is when a group of players team up to fight a series of advanced bosses that are much more powerful than regular foes. So far we've seen the most traditional raiding in mmorpgs but we've even had tabletop card games like World of Warcraft - The card game where 5 players can team up with their custom decks to fight special raid decks featuring monstrously big bosses with their own unique abilities. A few weeks ago for my birthday 5 friends and myself set out to play what would turn out to be about an 18 hour game of Stellaris. What we didn't know at the time was that we were about to get our first taste of an rts raiding experience. 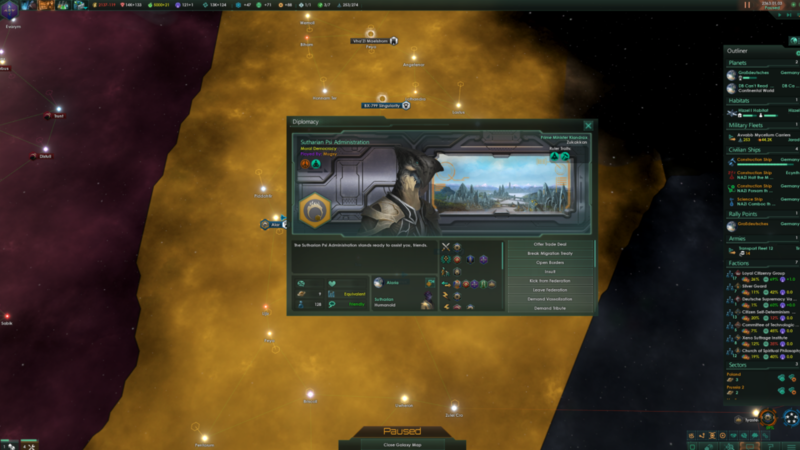 Stellaris is a grand strategy sci fi where players make custom alien species with their own perks, traits and unique government styles and set out to expand across a randomised galaxy of up to 1000 systems in a kinda of sci fi rts civilization game mode with up to 32 players or ai. 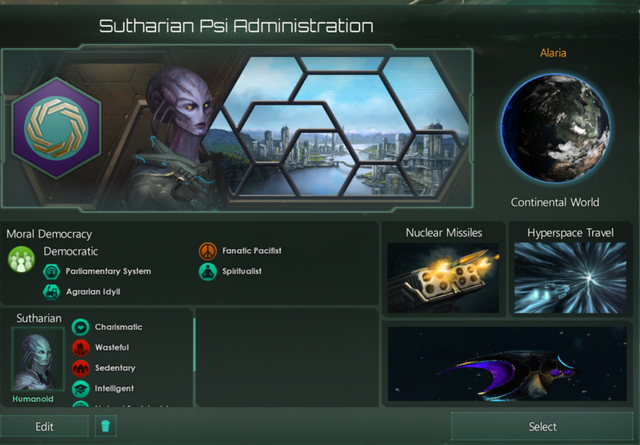 At the game start i decided that I would play a fanatic pacifist and quickly join a federation with one of the other players in order to bypass one of the biggest negative penalties of pacifists which is that they can't start wars and can only defend against hostile attackers. Normally this is a very diplomatic playstyle that requires defense pacts and federations with other like minded pacifists but being a multiplayer game we were able to join a federation with each other and while i could never set any offensive war demands if i needed a system i would work out a deal with the other players in the federation where they would take all the captured wargoal systems and transfer me the ones near my border. As we started the game we hadn't decided any rules on diplomacy as a result i found one of the players very early directly to my right and he got the jump on me and put down a frontier outpost expanding his border right up against my right side and blocking me from gaining any access down that outer corridor of systems. As a rule when playing rts with friends particularly long matches with many a.i i tend not start wars with friends early on as victory can set a sour mood and potentially ruin the days fun. I let him be giving him the lions share of the space between us and pursued my efforts to expand north and west as I encountered a xenophobic species to my south that almost guarantees a hostile action by them at some point but once again i was a pacifist so i had no choice but to defend the border and wait for them to attack and the best thing i could do was to secure as many free systems as possible before all of the empires expanded covering the map. 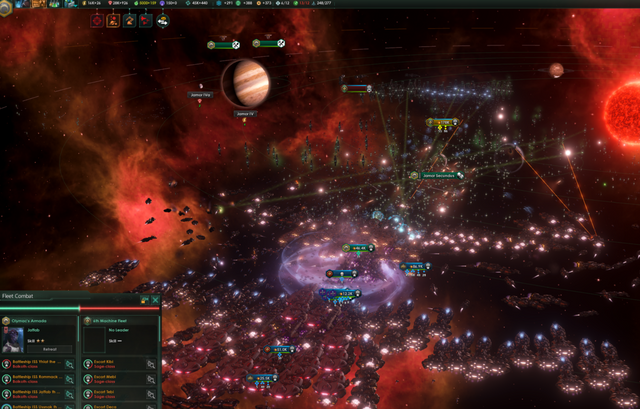 Shortly afterwards the player to my right was caught offguard and attacked from the south by a larger a.i, he had been so busy expanding and fortifying the space between us that he had left the south of his empire wide open and got completely blitzed knocking him out of the game in the first 2 hours as the a.i annexed all of his worlds. 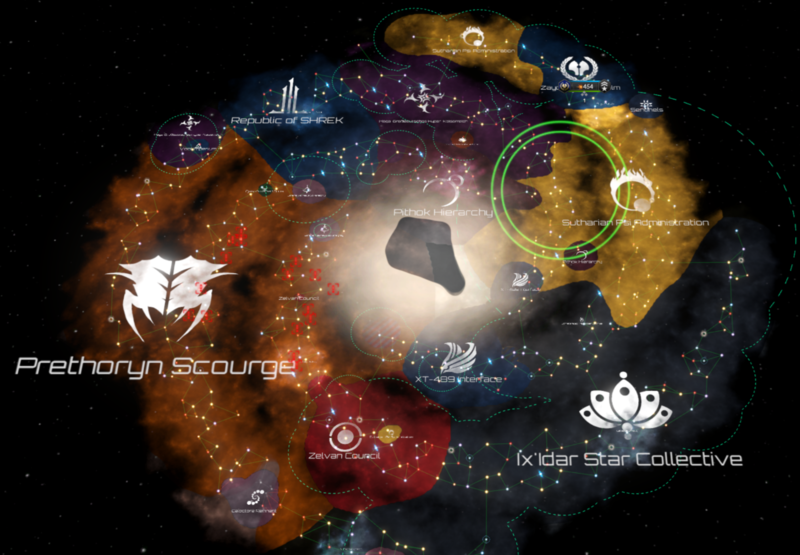 This put the largest a.i and clearly a very hostile a.i on my eastern borders so i reached out to the remaining players that were near me and formed the federation i needed to enable me to declare war via proxy. The 4 of us now in the federation worked together and expanded our empires taking over several a.i races over the next 10 hours. 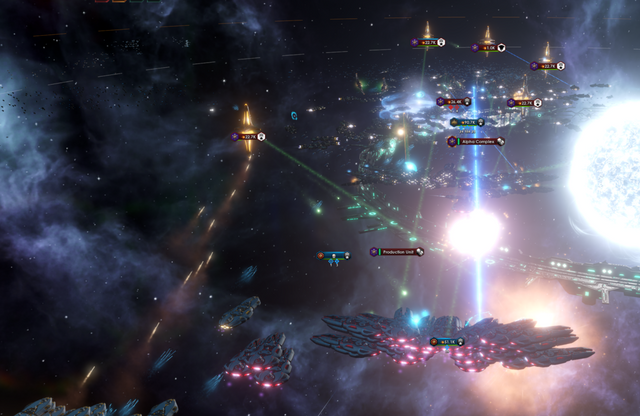 At this point feeling powerful we were discussing attacking one of the fallen empires, these are ancient races with advanced technology and ships that players cannot use making them dangerous adversaries for the younger species of the galaxy such as ourselves. If left alone they can 'awaken' which means they reorganise and get their shipyards and fleets operational trippling their military output and making them very dangerous. So sometimes it can be better to remove them from the game before they get organised and wake up. 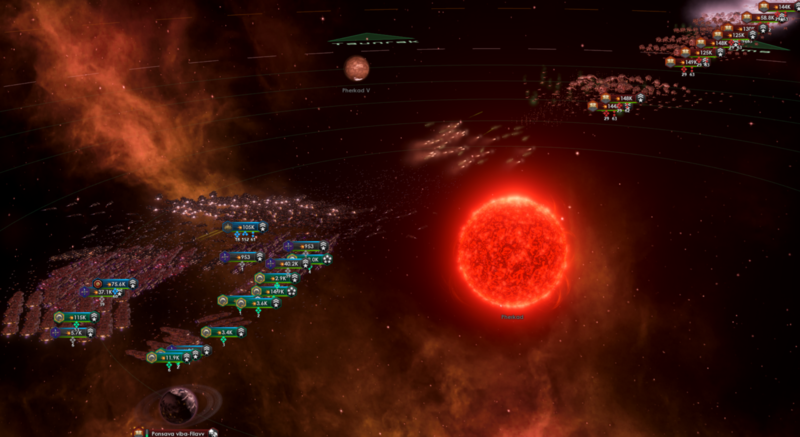 We united all of our fleets some 200,000 fleet strength combined and decided to launch an assault on an ancient machine race. The battles were large and proved to be very expensive for whichever players fleet was at the front and bore the brunt of the enemies attack. During the war one of our guys had ascended his race and unlocked their full psychic potential, this allowed him to reach into the psychic void to search for help. He met a species in there called the shroud and they gifted him a Psionic Avatar, a monstrous entity of energy that became the flag ship of our fleet. We all cheered it as it wiped out the enemy fleets. We had no idea the price that we would all pay for him reaching into that other dimension and what else would come through shortly after. 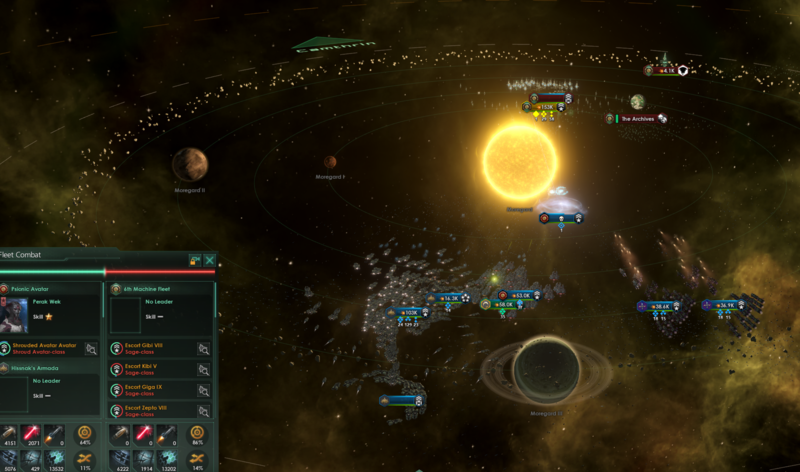 Eventually we drove the fallen empire back to their homeworld system and laid siege to their fortresses and space defenses before landing our armies on their last unconquered world. While in the middle of our fight with the fallen empire a message popped up it turned out a crisis event occured across the other side of the galaxy. A new a.i appeared in one of the ai's systems they were called the Prethoryn Scourge they are a kind of space bug from another dimension and as we soon learned they are a deadly plague constantly spreading in all directions and consuming everything in their path. There can be no diplomacy with them and they are at war with everything in the galaxy. 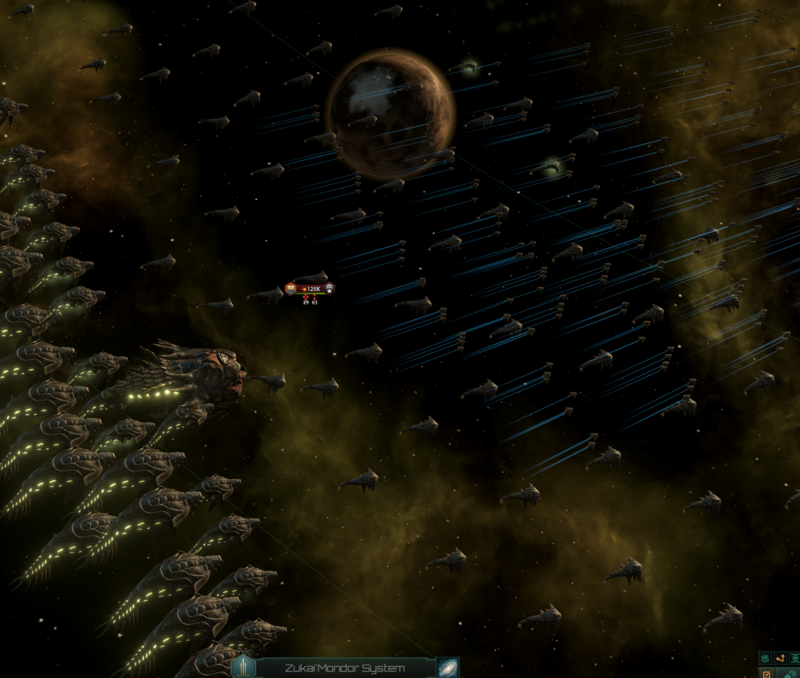 The scourge was unlike anything else we'd ever seen in the game they were not an a.i race playing by any of the normal rules, they started with a dozen fleets of 150k each putting them well over 1.5 million fleet strength to our 200,000 fleet. 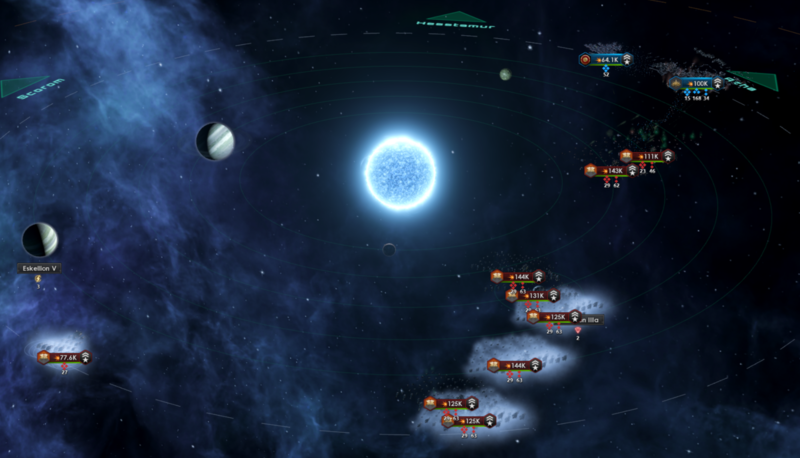 We immediately started dialog with as many other species as we could to attempt to bring them into our federation to amass a greater fleet in defense of the galaxy. To our disappointment and because of our warmongering they weren't very interested in this idea and most sat by and did nothing as the scourge expanded wiping out all planets in their path. 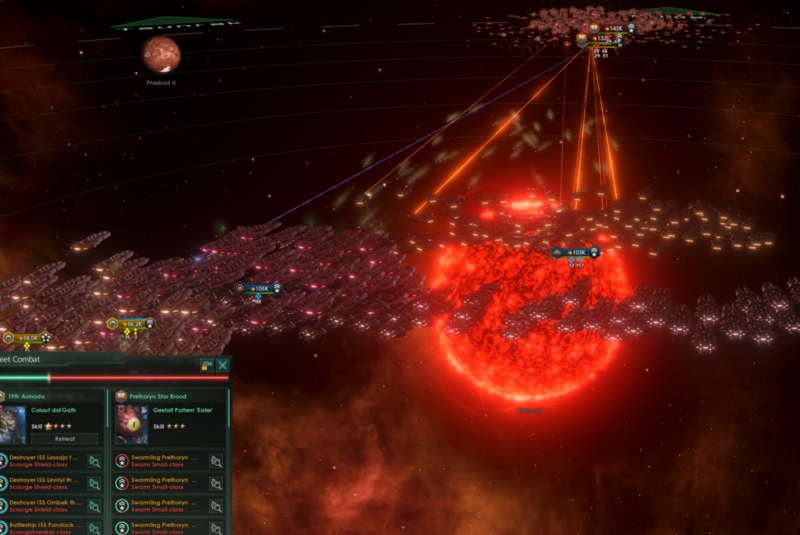 Within 30 minutes the scourge had taken over 20 or so systems exterminating all life in their path. 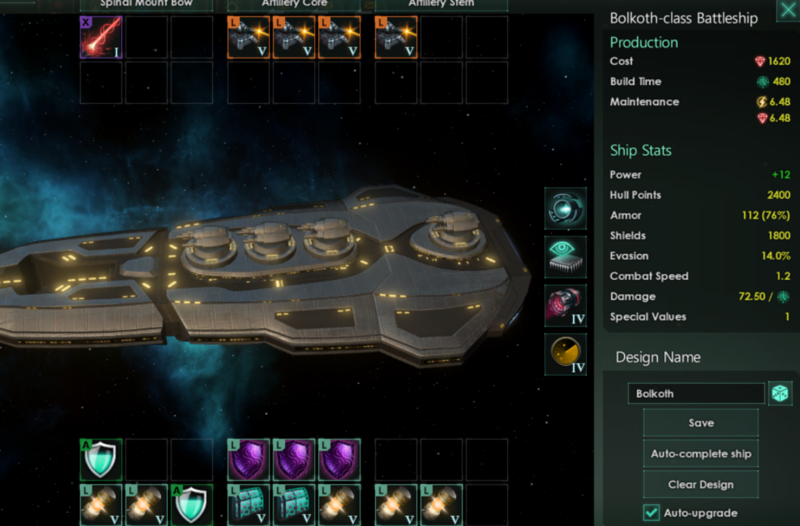 At this point we were getting real nervous they had reached the borders of the Zelvan Council this was owned by one of our players and he was putting up some of the largest fleets we had including the Psionic avatar. It was also very apparent that if he was to fall with less shipyards and resources at our federations disposal we would surely be consumed shortly after. 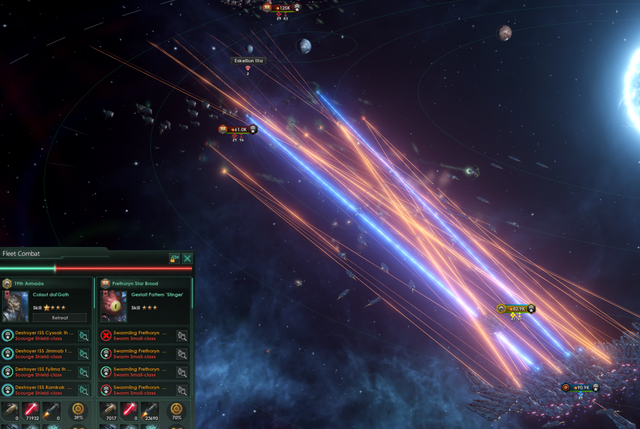 We reformed our fleet and set about counter attacking the scourge. Everytime we found some smaller fleets out on their own we tried to wipe them out before the others arrived. 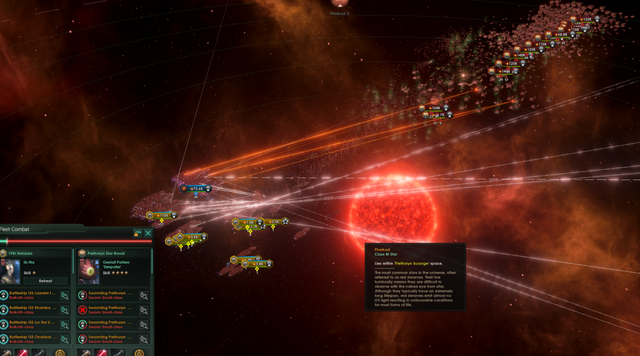 What we didn't anticipate is that everytime we attacked a scourge fleet it was like ringing a dinner bell all nearby scourge fleets would immediately drop what they were doing and warp to us which kept catching us out as we didn't have the fleet power to match them in 1 decisive battle. The avatar got caught out along with half of our fleet and were banished into oblivion forcing us to call our retreats and fall back further. It seemed no matter what we did the scourge expansion was inevitable. At this point we were into our 14th or so hour and were desperate to get some closure on this game we weren't ready to walk away in defeat but we were all tired it was 3am and we knew if we were going to make an impact we had to go for broke. With this in mind we figured we'd warp well past the scourge front lines and go straight for their homeworld to see if we could bomb it to ashes before they arrived. That battle in the scourge homeworld system of Pherkad was later referred to as 'the pain train', it didn't seem to matter how many we put down there was always more warping in behind them and their wave of bombers was like a cloud of acid disintegrating any of our ships that it enveloped. 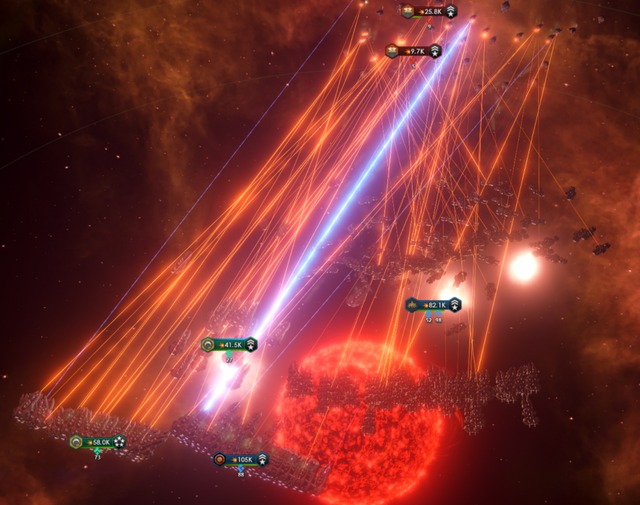 With our defeat at Pherkad and the complete ruin our of entire fleet things quickly went from bad to worse and their expansion went unchallenged. 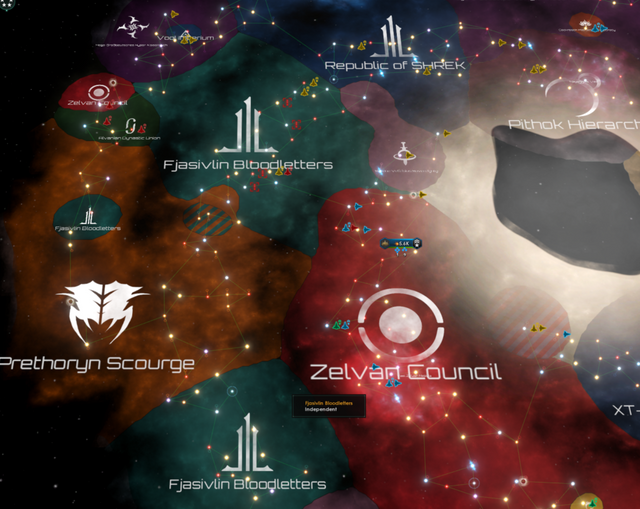 The Zelvan Council was almost completely wiped out save for a few ring world systems we had previously captured from the fallen empire, which had now become our forward outpost where we had all of our defenses and fleets warping into the system from our shipyards all over the galaxy as we desperately tried to build a new fleet. In true raid fashion we had taken this time to discuss our battles with the scourge, to analyse their strengths and weaknesses and try to address the issues we faced that were making them so powerful. Our new fleet was custom designed purely with the scourge in mind. We had decided one great thing happened at the battle of Pherkad by fighting from the center of the system the scourge fleets had to slowly cruise across the system towards us and our long range lasers were able to put many of their ships down before their bombers ever got on us. 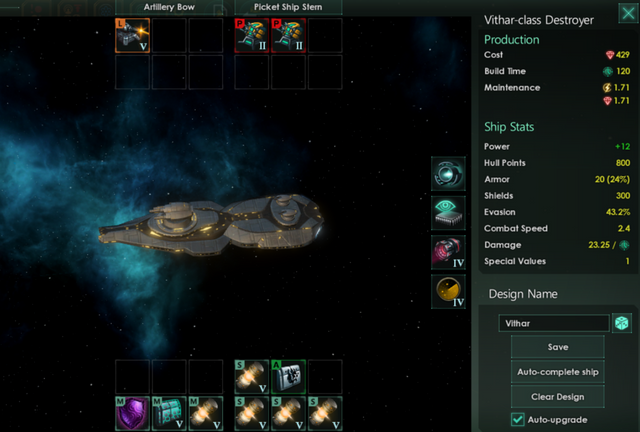 With this in mind we refitted our entire fleet to just 2 ship variations. We ran a destroyer loaded with Flak Cannons this was designed as a screen fleet it would remain separate and sit well out in front of the battleships its sole purpose was to slow down and destroy as many bombers and scourge missiles as it could allowing the battleships to remain alive for longer to do their work. For the battleships we converted them into pure long range snipers with armor penetration designed to sit back and focus their fire on as many scourge ships as they could, we figured if we had enough laser dps hitting them hard and instantly we could wipe out as many as we could before they got in range and then when the bomber clouds were upon us we would fire up the FTL drives and signal the emergency retreat. Using this strategy we might be able to make a dint against the enemy without having to rebuild all of our ships which meant we'd be able to regroup and and repair and go straight back into the fight. 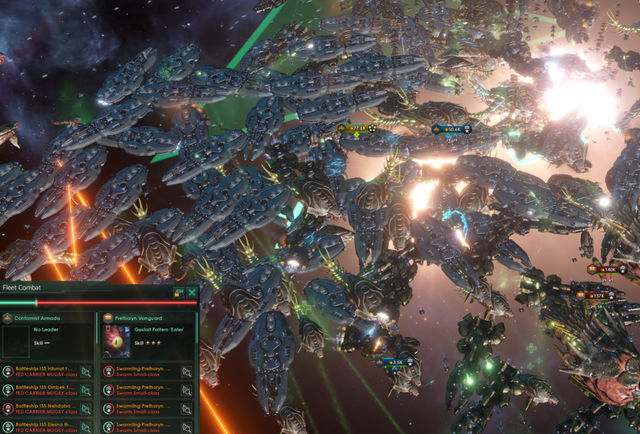 With the Zelvan Council just a hairs breath away from annihilation our new fleet was ready, this was our last chance to gain some ground or we'd decided we would concede defeat if we lost the Ring Worlds. Considering that we'd been at this for 16 hours already, it was amazing that we'd gone this far. The new ships and tactics was a success we wiped out a dozen or so fleets and cut a path straight to the scourge homeworld we had decided at this point that just fighting our way to that system and holding our own when the pain train arrived and taking out their homeworld would be enough for us. We had proved we could beat the scourge but with the sheer number of planets they now controlled it would take another several hours to wipe out their infestation completely and we were way too worn out. So several hours later we found ourselves once again back over the familiar Pherkad star where we had suffered complete destruction and there we fought the last battle against the continuous waves of enemy fleets for an allied victory against the Scourge Crisis. Our efforts were rewarded, finally no more fleets warped into the system. We had won. For me I could honestly say this was one of the most memorable gaming sessions i've ever had and it was my first RTS Raiding experience. 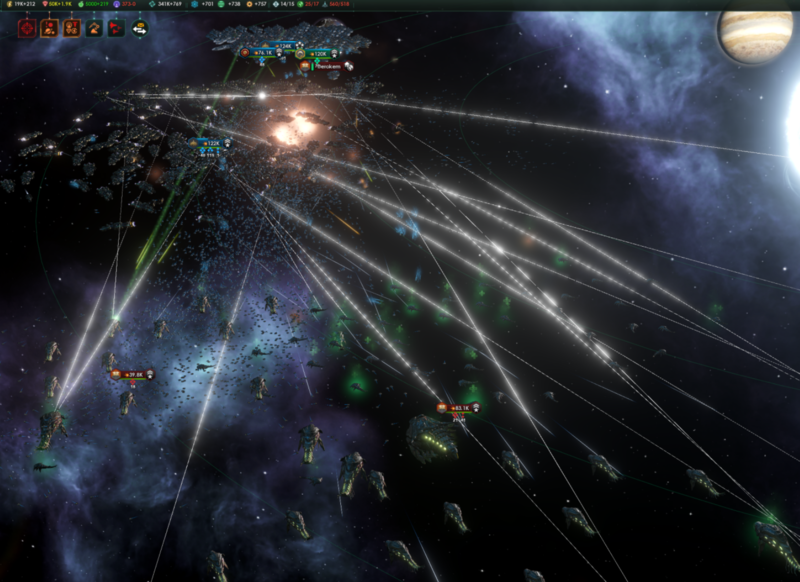 Several players joined together to fight an opponent with advanced technology and units that we couldn't build and struggled to match and they had over 10x our combined fleet. In an rts world that's as close as you can get to raiding, for now. Thanks for reading guys, I hope you enjoyed it. That was an amazing after action report, my man – so amazing that one of the Stellaris head honchos tweeted a link to this article and I rejoiced because it was great to see that another writer about games on Steemit had received a little exposure. Good man, good man. You have been proven to be one of the best of the best. That's awesome, could you please link the tweet for me? Thanks for your kind words, while I don't think steemit is big enough for this kind of specific content just yet it's nice to know that there's an audience that enjoyed it. Even if they're out there with no user accounts and unable to comment or upvote, I appreciate your interest thanks everyone. Frankly, I'm right there with you in believing that Steemit is probably too small for this kind of content – and yet I keep banging away at my strange little quarter talking about tabletop RPGs and wargames, occasionally doing some video of how to use 3D modeling software, and really focusing on Steemit as a blogging platform, not for its link cryptocurrency but because it seems to be relatively stable and works okay. And I occasionally can pull out a few dollars to buy things like a new keyboard. But you have done a fine job, writing an article that somehow popped up in front of the line developer for Stellaris, one which he thought was good enough to spread globally to all of their followers. Thanks for your support Lex, I think early on it's just nice to feel like you're gaining some positive traction and that the effort you put in is leading to something. I myself will be switching over to more tabletop posts coming up for my upcoming game releases but this post awoke a writer that i didn't know i had in me. I just had some screenshots from the day posted into discord from while we were playing and once i started writing the story wrote itself. Believe me, I'm right there with you. It helps that I have a little bit of a readership on other social media platforms and I can think of Steemit as just another blogging platform like Medium (which I was using before), which has the accidental side effect that I can actually take some of the funny money cryptocurrency and maybe buy something once in a while. If we look at this like a lot of the people who do blogging on this platform as an income stream, disappointment and sadness are inevitable. But as a blogging platform it's actually pretty good. Sometimes it's a little bit slow, and it's definitely not as pretty as Medium – but I get to write directly in markdown, and that goes a long way. I have tools for that. 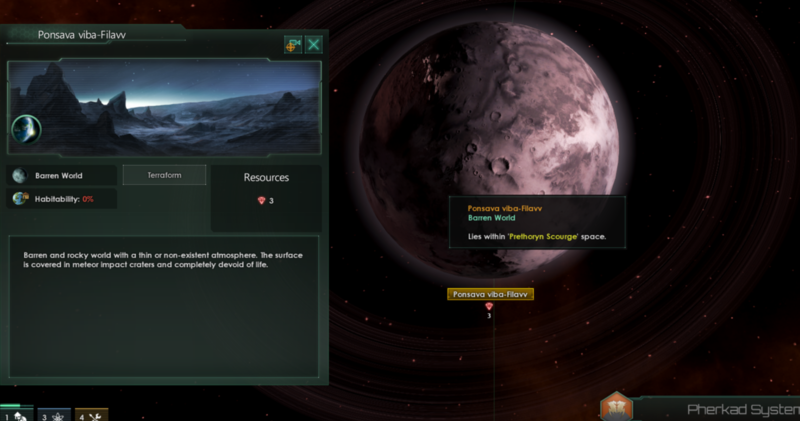 Stellaris has the strange side effect that retelling what happened in the game builds a story automatically. It starts that before a game even kicks in when you spend the time to customize your race and it becomes a real extension of you. After that, all it takes is "one damn thing after another" and the story has you in it. It's one of the best feelings for a writer, at least in my opinion, when just talking about a thing makes the article. Stellaris does that. The Zelvan Council shall never never break! That was a massive game, I was mentally exhausted after that game.